America that great crucible of humanity bonded by the ideal of equality and the promise of life, liberty, and the pursuit of happiness for all. Through painful trials of war and cultural conflict the American experiment has alloyed a diversity of ideas and cultures into a whole greater than the sum of its parts. Unbeknownst to many Americans, the Second World War, more than any other conflict or challenge that the US has faced, showcased the inspiring potential inherent in our diversity. This has been the driving inspiration behind the 6 years of development we’ve poured into resurrecting the iconic American tool watch of World War II detailed in the A-11 specification. Largely unappreciated, we aspired to elevate this design so that it could fulfill its potential to symbolize that event, the shared sacrifice, and the universal bond inherent to the ideals of this nation. Cruxible’s construction principle is guided by the Type A-11 issued watches but completely reconsidered for performance and serviceability. The mid-case has been strengthened and redesigned to accommodate a screw down crown providing 100 meters water resistance and modern take on the scroll lug inspired by the Patek Philippe reference 1463 and iconic CWC G10 field watch. Of all of the crown styles supplied on the watches from the war period we selected the oversized-type crown for its ease of use and singular ability to evoke the design’s origins, history and purpose. 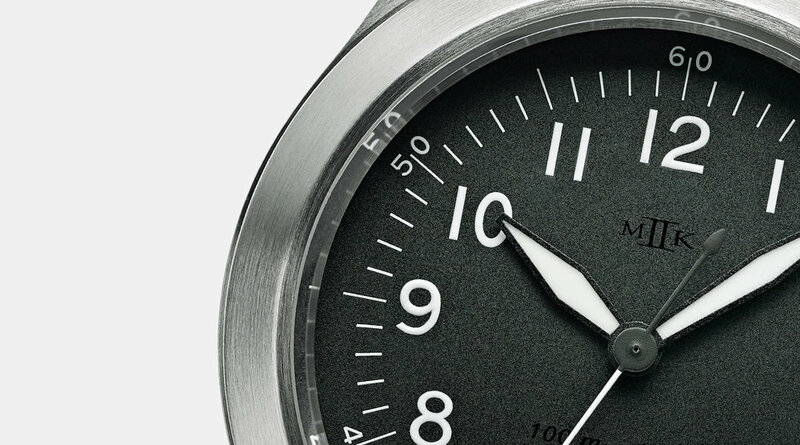 The core elements of the iconic dial have been carefully reworked to deliver a more nuanced interpretation of the war time specification and improved readability. In allusion to period USN watches the Mk II logo and depth rating are printed in gloss black on the dial to provide this information for reference only as needed. The hands have been painstakingly restyled to make them visually stronger and more functional while preserving an American aesthetic. The case back is styled after the decagonal case backs indicative of the “waterproof” versions of the A-11 specification. 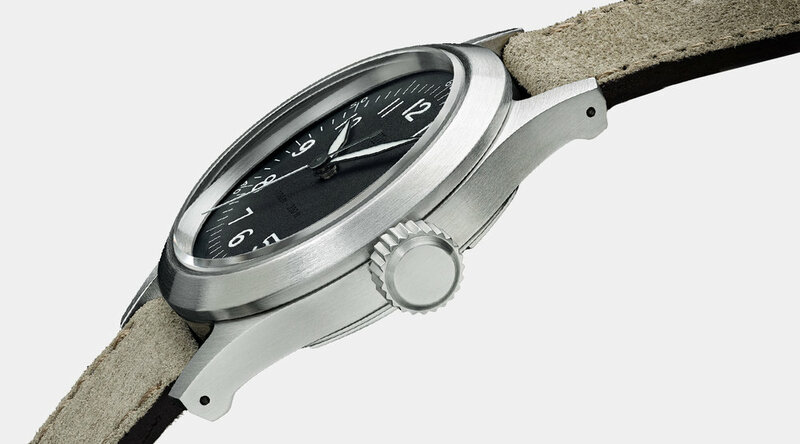 In a departure from the vintage design Cruxible’s case back features a high-dome that is designed to allow the watch to sit more comfortably on the wrist. Since the Type A-11 watches were non-luminous we incorporated the SuperLumiNova such that its presence is hidden in plain sight. Barely discernible to the unaided eye the dial is deftly coated with SLN on its four cardinal points to prioritize legibility but boldly announce itself in the dark. The fully luminous hands are constructed to recall their spartan origins through a modern approach that is more aesthetically cohesive with the dial.